including a single BS 6 or 8 yard steel skip. Bespoke designed disability access boats with a wide entrance/exit ramp in the bow. Stable, with good visibility from a seated position, it can accommodate 5 wheelchair passengers plus carers or 12 seated passengers. An inboard diesel powered harbour master craft that has been put to good use in Littlehampton Harbour. used fro feryy poeple and equipment about, as well as being the 'face' of Littlehampton Harbour. 24ft Sports Fisher. This was an incomplete kit that had been shipped to us by the owner for completeion and fit out. It was originally a centre console boat that was converted by the addition of an enclosed wheelhouse. Unlike anything yuou have seen before. 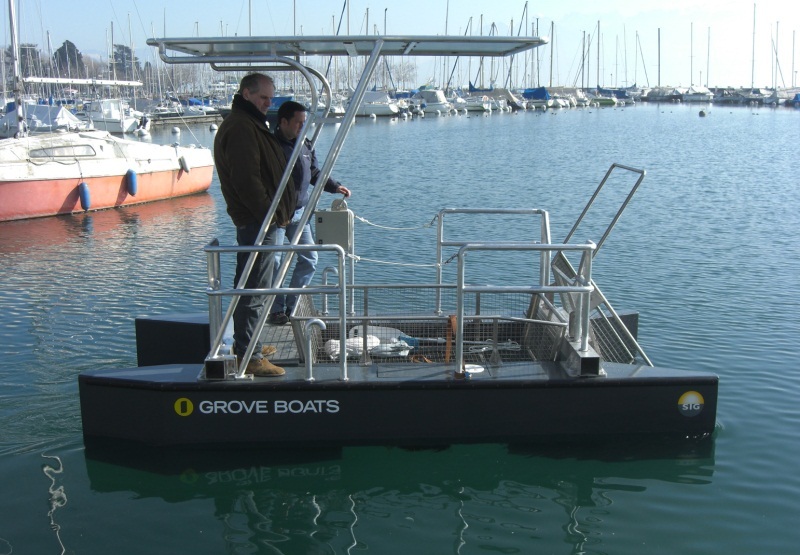 An aluminium boat with surprising performance, transforms into and amphibious vehicle using a retractable jock wheel at the bow and a set of tracks towards the stern.